Looking for a fun family event this spring? Join us at The Waters in Pike Road for Music in May! 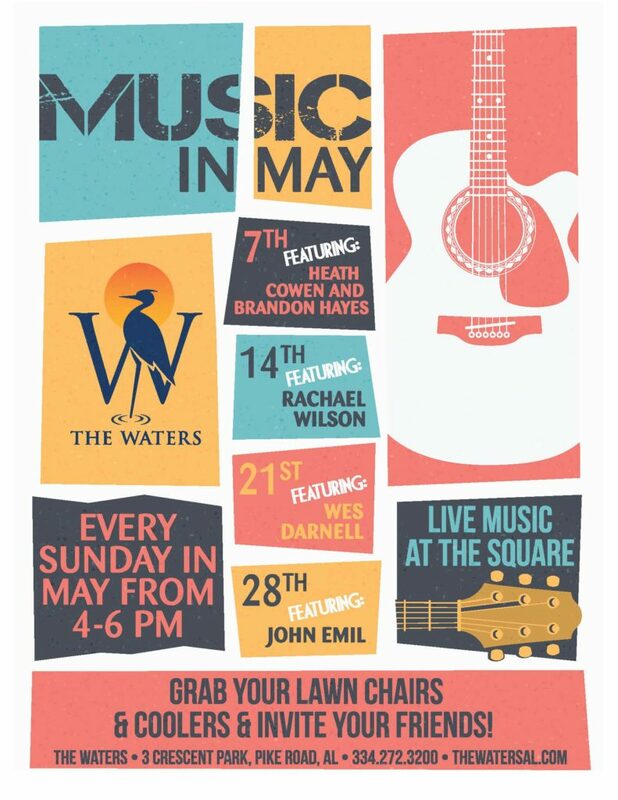 We’ll have LIVE MUSIC at The Square from 4-6pm each Sunday – bring your family & friends out for a fun afternoon!